The final of the French selection Destination Eurovision 2019 took place tonight, live from Saint-Denis. Bilal Hassani won the ticket to Tel Aviv with the song "Roi"
The Final of Destination Eurovision 2019 in France took place tonight. At the show the eight finalists performed a cover version of one of their favourite songs, before they sang their potential entry for Eurovision. 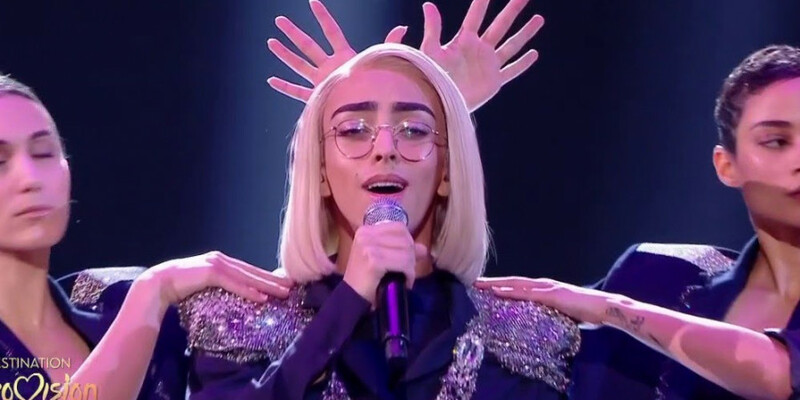 The public and an international jury selected tonight's winner, and the French representative for Eurovision Song Contest 2019 in Tel Aviv: Bilal Hassani with the song Roi. The previous two Saturdays the semi-finals took place, which were won by Bilal Hassani (Semi-final 1, 115 points) and Seemone (Semi-final 2, 113 points). Roi is written by Bilal Hassani, Medeline and Émilie Satt & Jean-Karl Lucas (Madame Monsieur, France 2018). Hassani is 19 a years old singer and Youtuber from Paris, who – before his victory in Destination Eurovision – was mostly known through his YouTube channel, with 785,000 followers. When he was 5 he started singing at home, and later taking singing lessons. In 2015 Bilal competed in The Voice Kids, singing Rise Like a Phoenix at the blind auditions and picked by coach Patrick Fiori (France 1993).